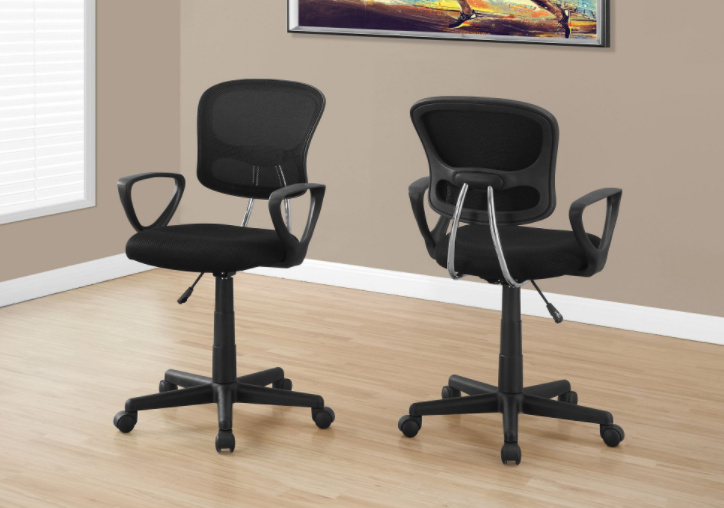 I-7259 Office Chair – Elevate your office space with this modern ergonomically designed high-back executive office chair in a classic black finish. 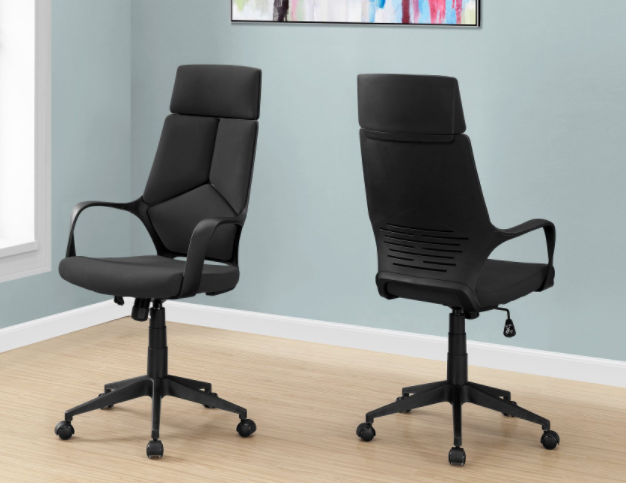 This on-trend designed chair is not only fashionable but supremely comfortable with a natural curved padded back, head rest, and arm rests that swing back, along with a thick cushioned seat all upholstered in a durable and breathable commercial grade black fabric. 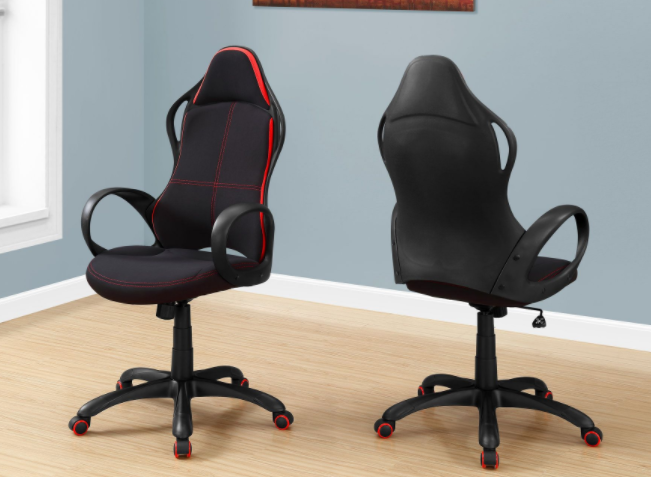 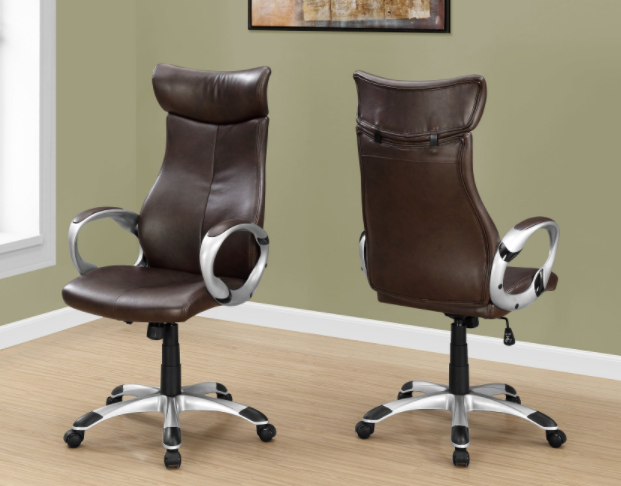 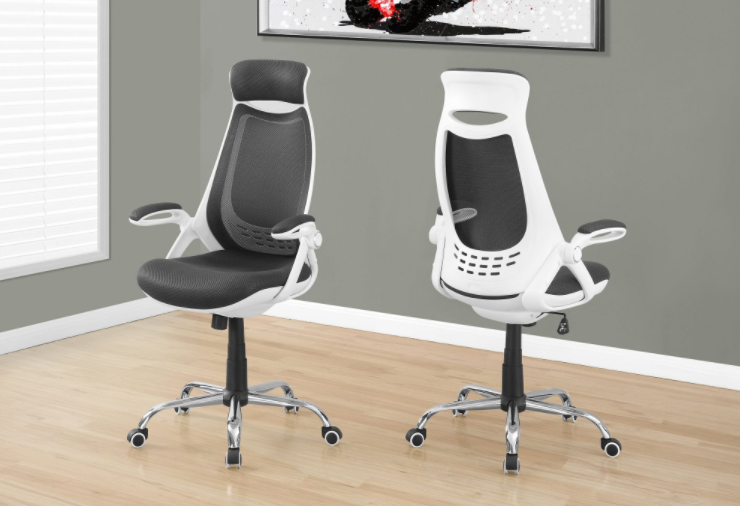 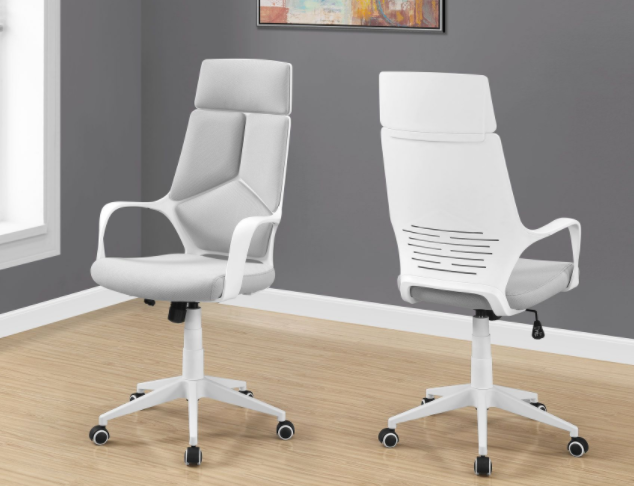 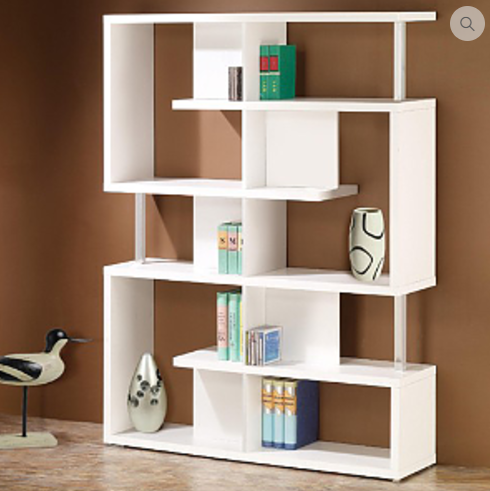 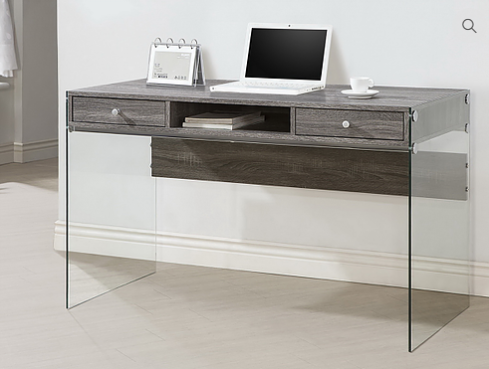 Easy to assemble, you deserve to be sitting comfortably and in style as you work hard to close those deals!